Erect, rhizomatous, colony-forming perennial. 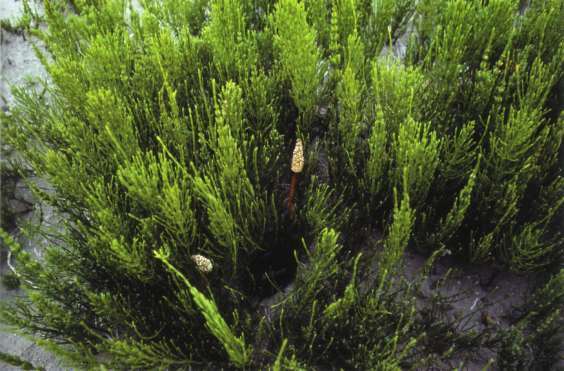 Shoots with whorls of needle-like branches similar to spurrey. Aerial parts die back each winter and appear again in spring. Cone-like structures at the tip of fertile shoots. Allied to ferns. Flowers No flowers, but cone-like structures, 1-4 cm long, at the tips of fertile stems contain spores. Leaves Long, thin, needle-like branches in whorls resemble leaves. Stems Erect, green, grooved, with branches in whorls, sterile, up to 80 mm long by 5 mm diameter. Smaller but thicker, unbranched, brown fertile stems appear in spring and die after shedding spores in summer. Roots Extensive underground rhizomes, bearing round tubers, creeping and branching freely penetrate to considerable depths, especially in shifting sand banks in rivers. Damp ground, river-banks, lake margins and sandy or gravelly soils. Uncommon but recorded from Kawhia, Havelock North, New Plymouth, Wanganui, and lower Rangitikei in NI. Marlborough, Nelson (200 ha infestation in a valley near Karamea), Christchurch and Dunedin in SI. Originally from temperate regions of northern hemisphere. Used a pot scourer in olden days in Europe, and for some homeopathic preparations. Very difficult to control either with herbicides or by cultivation. 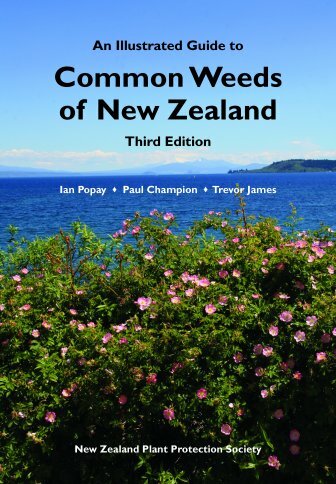 Common weed in parts of Europe. Species is toxic to animals. Of limited distribution in NZ, and could become more widespread. Listed on the National Pest Plant Accord (see Introduction for details). Equisetum (Lat.) = horse bristle, the sterile stems resembling horses' tails; arvense (Lat.) = of cultivated fields.